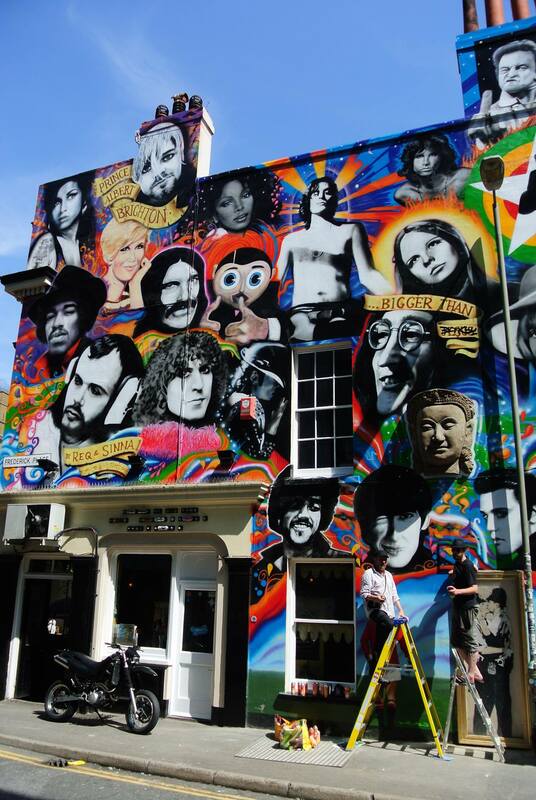 Absolutely phenomenal artwork on the side of Brighton’s favourite rock bar, The Prince Albert, paying tribute to some of the world’s biggest musical legends. Artwork by Brighton artists Sinna One and Req. This entry was posted in Art, Culture, Music. Bookmark the permalink. ← Need A Map Of Brighton?